This Swordsmith Forged Adventure Time's Iconic Sword. Then, He Cut Stuff With it. If you've ever watched Adventure Time, or if you've played Adventure Time: Hey Ice King! Why'd You Steal Our Garbage? 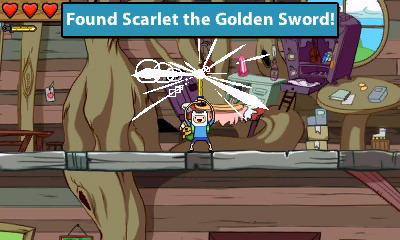 !, then you've probably seen Finn's awesome sword, Scarlet. Here's Man At Arm's Tony Swatton forging the sword in real life—scratches, dents, golden color and all. Neat. ...I want one. For harmless adventuring, of course.